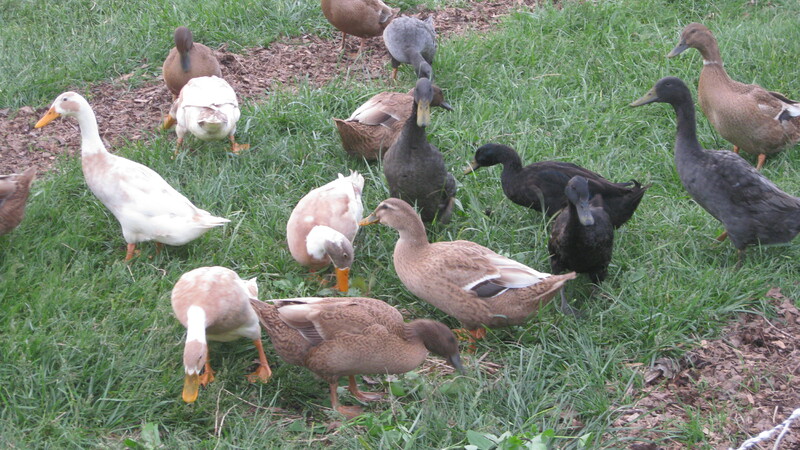 Our ducks are fattening up on foraged bugs and weeds from the garden. 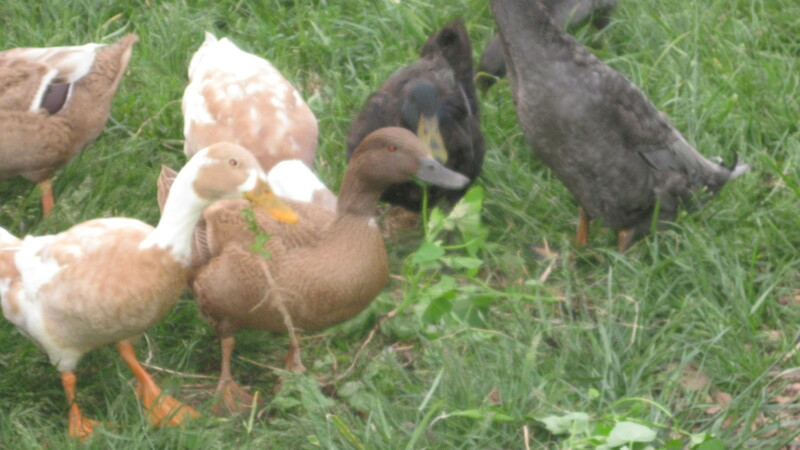 We are patiently waiting on the arrival of the first egg. 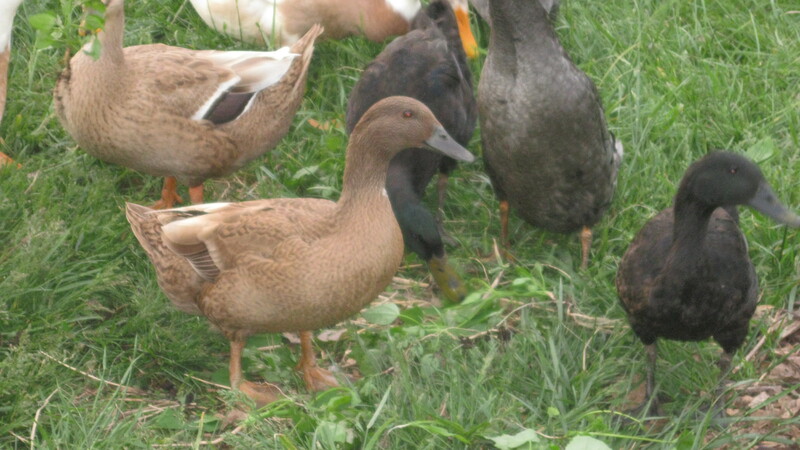 These guys and gals are a mix of Indian Runners and Khaki Campbells, both known for the egg-laying abilities.